Don’t get stuck with a software solution that causes more problems than it solves. Learn what you can do to deliver a project that makes a positive impact. Ever wonder why some companies struggle to move forward with a project, including an MES or paperless manufacturing system, even when there are obvious benefits? It may not make sense, but it’s (literally) human nature. Confirmation Bias is the tendency of people to selectively remember, interpret and analyze information to confirm existing beliefs. We selectively process information to confirm what we think is true, while ignoring or misinterpreting anything counter to those beliefs. Confirmation Bias is a cognitive issue, an error in inductive reasoning, and a failure in logic and information processing. It could also be what is holding your company back, and keeping you from finding manufacturing success. Companies come to us with production problems – a failed audit for example, or a critical quality escape. We’ll help them identify the issues behind the problem, then find the solution. Along the way, we’ll discover other shop floor solutions to problems like out-of-control paper records or missed data collections. Despite the benefits, companies are still reluctant to take the next step and make a change. They will twist their processes and operations to cover-up the flaws, throw away money and never really solve the problem. Often, that’s confirmation bias costing them money. IT wants an easy option that won’t add to their work. In their mind every new system means new work, so they can only see the current system as the best solution. Similarly, many current shop floor users are more than happy with their current processes, so they will only see flaws in other solutions. Management, Quality Control, and others will have a stake in the project, and evaluate each option with their own cognitive bias and flawed inductive reasoning. Is it any wonder building consensus around a new shop floor system, no matter how effective it might be, requires a herculean effort of titanic proportions? From our experience, the companies that overcome confirmation bias and find the best solution for their operations will first build internal consensus on potential solutions early in the process. Start out by including all the stakeholders. While the project should focus on the key priorities, also be aware of the priorities for each stakeholder. Many times, a project fails when one group makes a selection based on a single set of priorities, never understanding how it will impact the other stakeholders. Building consensus early will help ensure the project has the greatest positive impact. Next, develop a focused and manageable set of priorities based on expected ROI. A project will often be derailed by a massive list of requirements. Requirements shouldn’t be a wish list. Identify the 3-5 key items that must be addressed in the system. Other items can then be added in later phases once the system has been installed and the company begins collecting an ROI. Finally, be prepared to evaluate alternative solutions before making a selection. One easy method for overcoming confirmation bias is to force yourself to consider alternatives before evaluating your preferred solution. Looking at alternatives first will help you objectively evaluate data. Many times, the preferred solution ends up being the best, but by looking at alternatives first you can better evaluate all the options. Once a solution is chosen, develop benchmarks and a schedule for evaluating the solution. 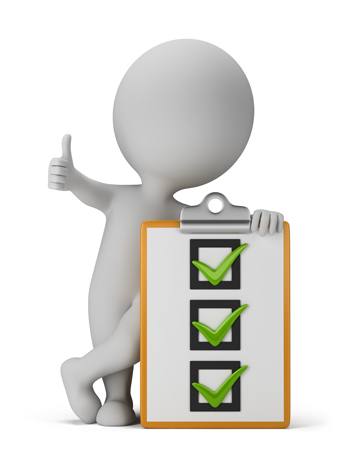 Use the requirement list to determine the benchmarks. Determine if the solution is solving your problem and meeting your needs. If it’s not, make sure you’ve written into the contract how to proceed. Don’t get stuck with software that requires endless service calls or causes more problems than it solves. Find a supplier you can trust to work with you and deliver solutions. Are you curious to learn more, or see how a simple software solution can significantly improve your bottom line? Then contact us today for a free evaluation of your shop floor. This entry was posted in Manufacturing, Manufacturing Execution System, manufacturing investments, Manufacturing Solutions, Paperless Manufacturing and tagged Confirmation bias, manufacturing software, manufacturing technology, shop floor technology on February 4, 2015 by Ed Deaton.